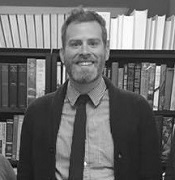 I am an Assistant Professor in the Department of History and Political Science at York College of Pennsylvania, having received my Ph.D. in Political Science from Temple University. My research has appeared in journals such as Political Communication, Political Behavior, and Environmental Politics, and I was the 2016 recipient of the APSA Timothy Cook Award in political communication. Additionally, I teach courses on political psychology, the news media, campaigns & elections, and public opinion. You can contact me at nanspach@ycp.edu or at 717-815-1269.